No Fenders -Formula 1, IndyCar and A Whole lot more..: Modern Day Villans? Thus I spent Saturday being chagrined - thinking I’d been smacked hard upside thee head by the Karmic Whip, as my current top two villain’s threw down upon me, as first it was thy smarmy ‘Juan Fredrico Suave, aka Fernando Alonso snatching pole ahead of local hero Master ‘Zebb in Der Fatherland... As I’ve previously noted Alonso will forever be known to Mwah as “Ferdi-duh-Putz,” as he was rightly christened by Blogmeister Miguel! Which is funny since he’s the only current F1 driver I have any great disdain towards these days. Therefore I wasn’t overly surprised to learn that ‘BullyRay had been given a penalty for unsportsmanlike competition during Friday’s practice session when he ‘Turfed James Jakes off-track and then also apparently told the Englishman who fly’s the Boy Scouts flag he was number-one! Geez Ryan, that’s not very good behaviour upon your part, I mean talk ‘bout setting an example for all of ‘Dem aspiring Scouts, eh? And speaking ‘O TV, typically FOX is my villain de rigour when it comes to F1 broadcasts... But I’d haveda say this year’s solution of hosting the Pre & Post-race segments on SPEED made this usually abysmal block of Grand Prix’s most palatable... Along with not only the Booth Boyz of FOX/SPEED but NBC Sports Network actually reading the entire starting grid line-ups which is most preferred by your visually impaired ‘Vurd Botcherer; Err Hack! But back to the races, as you can probably guess my feelings of joy over that DAMN Fernando winning again... As CRAP! Alonso’s now won three races this season, as I was hoping ‘JENSE would pull off an upset; guess we all know why Ferrari’s reportedly paying Fredrico $32m per season; CRIKEYS! As somehow I didn’t even find myself being overly annoyed by ‘HULIO winning Sunday; YIKES! Although I did spend the races latter laps chanting get ‘em ‘Taku! As I can still vividly recall being the ONLY person BOOING him in the grandstands on his thought-to-be victory cool-down lap at Edmonton in 2010... You know when he tried fixing Charles Burns shirt collar, right? Since in the years past I’d actually mute ALL Castroneves and ‘Princess interviews - although that’s gotta be the most happy I’ve ever seen & listened to him... 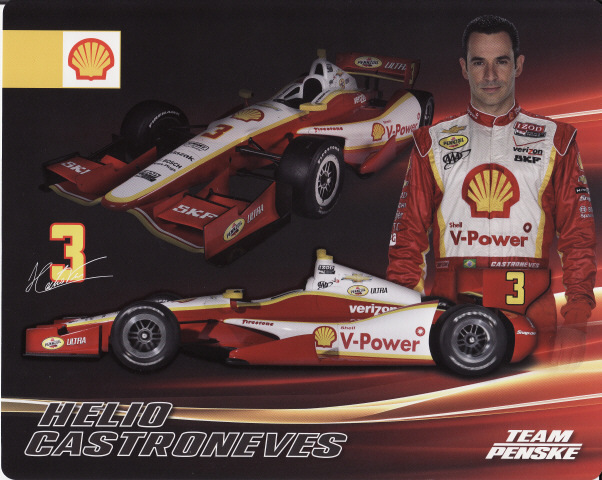 Although I still say he’s working overtime upon his future ‘RASSCAR Bomber Pilot career, I mean C’mon Helio, who’s your shoe sponsor, eh?